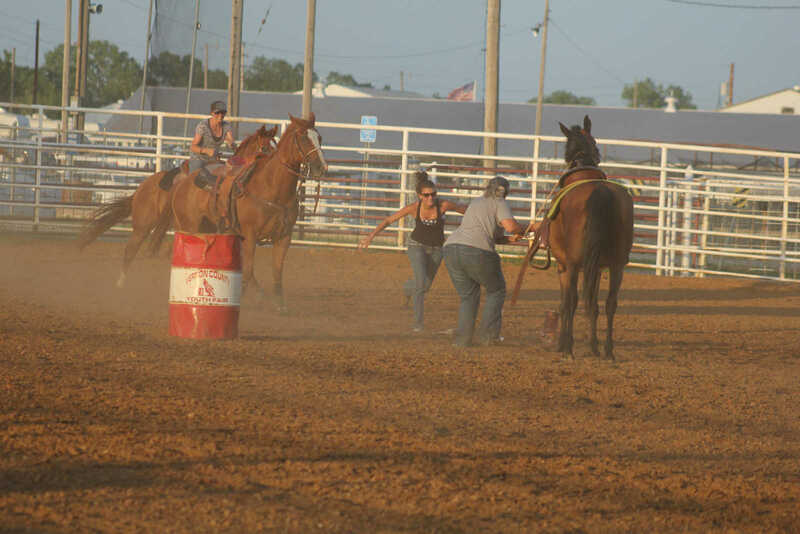 Payton Brooks (far left), Becca Raper (center left), Addie Burgess (center right), and Dustin Shumake (far right), all scramble to find and put on their boots during the Boot Race at the Vernon County Fairgrounds. 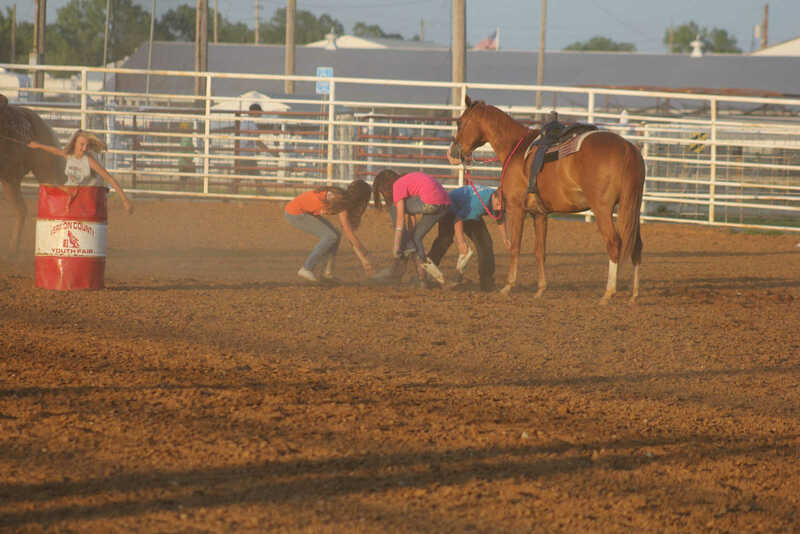 Payton Brooks (far left) pulls her horse, Sorriely, to the pile of boots, as Becca Raper (orange tank top) looks for her horse after putting on her boot and Addie Burgess (pink T-shirt) turns to mount her horse, Lucky, after re-booting, and Dustin Shumake (far right, blue T-shirt) still looks for his boot at the Boot Race during the Show-Deo on Friday, July 11, 2014. 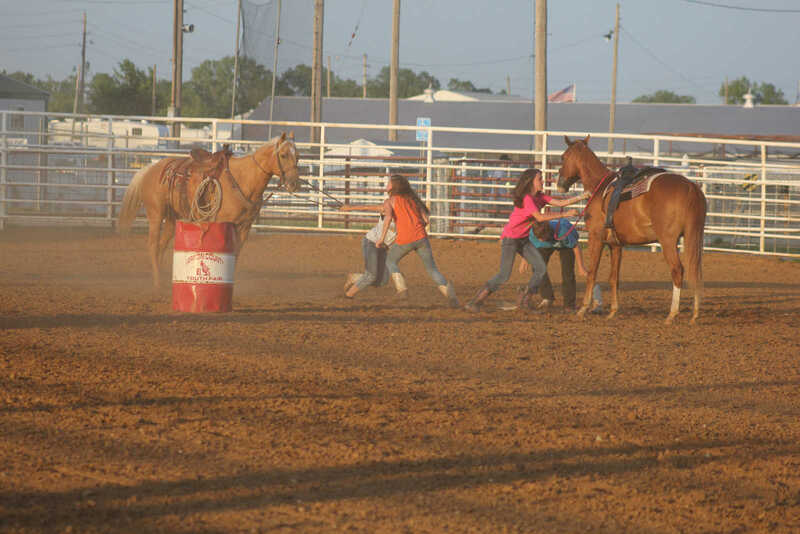 Jennifer Gundy (left), Taylor Gundy (center), and Missy Raper (right), rush to get their boots during the 15 and over age group Boot Race during the Show-Deo at the Vernon County Fairgrounds on July 11, 2014. 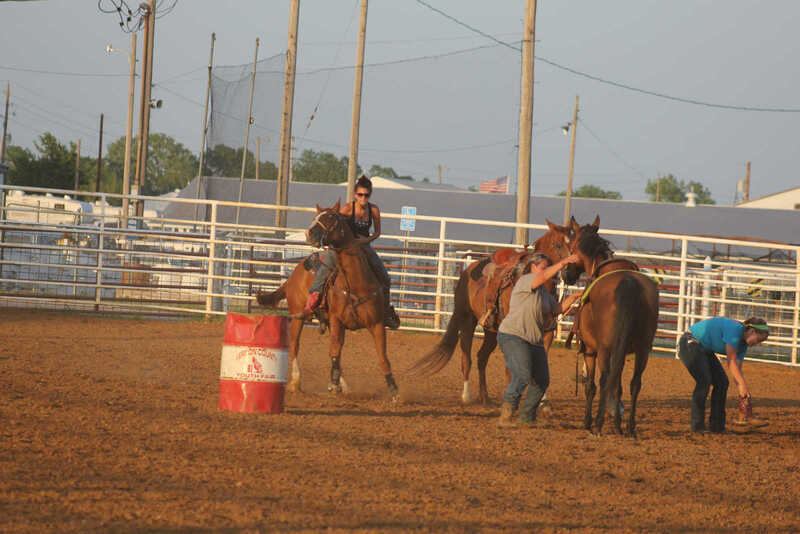 Taylor Gundy (left) first place winner, Missy Raper (center), and Katelynn Vandenburg (right) during the Boot Race on Friday, July 11, 2014, at the Vernon County Youth Horsemanship Show-Deo. 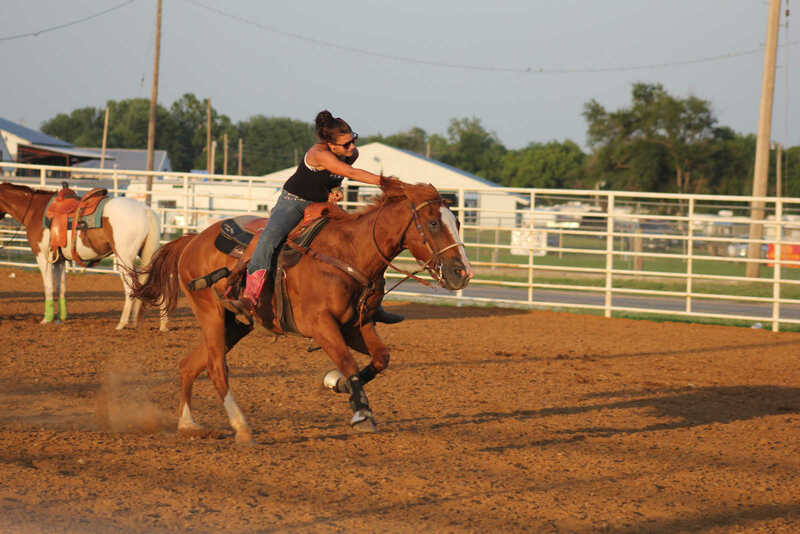 Taylor Gundy races to take first place in the 15 and over age group Boot Race during the Show- Deo at the Vernon County Fairgrounds on Friday, July 11, 2014.